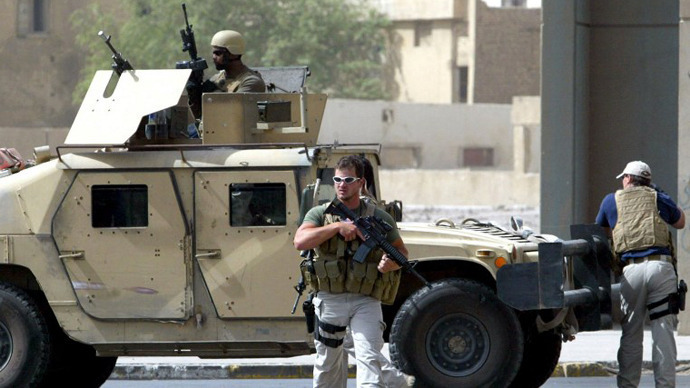 The Blackwater guards accused of killing 14 Iraqi civilians in 2007 opened fire without provocation, a federal prosecutor has said. It’s alleged the guards harbored deep-rooted hostility towards Iraqis and boasted of their indiscriminate shooting. The troops, who were formerly employed by the Blackwater private security company that policed US military zones, claim their lives were in danger and they acted in self-defense. However, Assistant US Attorney Patrick Martin said in a trial Tuesday that some of the victims were simply trying to escape the gunfire of the Blackwater guards. "Fourteen died, 18 injured. For what?" he said in his opening statements before a jury in the US District Court for the District of Colombia. The trial comes seven years after the shootings and has been plagued by delays because of a lack of evidence. The 2007 shooting, which happened at Nisur Square in Baghdad, scandalized the Iraqi public and raised tensions with the US four years into the Iraq war. 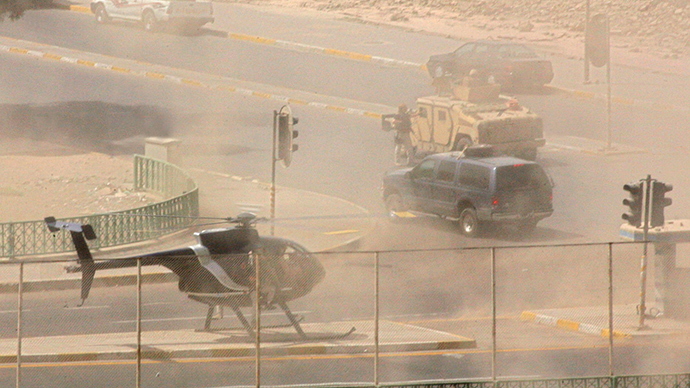 The guards were accompanying a State Department convoy through the streets of Baghdad when they opened fire at a traffic roundabout. The Blackwater troops reportedly faced no provocation, yet they opened fire on a mother and her son in a white Kia vehicle and then continued to fire indiscriminately. Martin showed graphic photos of the incident and videos of the scene in the Iraqi capital to the court. He said that the guards who opened fire had shown no remorse for their actions, claiming they bragged about their exploits once they were back at base camp. One was "high-fiving and slapping people on back as if he had just won a big football game," Martin told the jury. He said that when the soldiers got back to base they sought to justify their actions by claiming there were insurgents in the area. However, this lie soon “unraveled” when two senior veterans arrived at the scene to see what was going on. As it stands, one of the guards, Nicholas Slatten, is accused of first-degree murder, while the other three – Paul Slough, Evan Liberty and Dustin Heard – are being tried for manslaughter. Lawyers for the defendants will make their opening statements Wednesday and are expected to argue that their clients were fired upon and retaliated in self-defense. 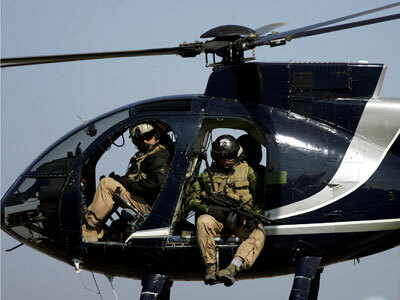 Private security company Blackwater has undergone a number of transformations in the wake of a number of scandals related to the unwarranted use of force in Iran and Afghanistan. 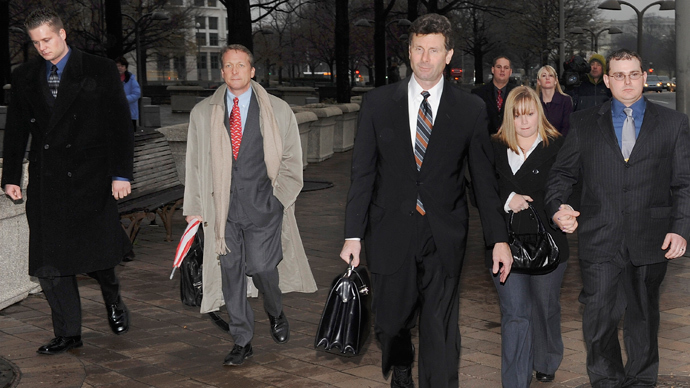 Blackwater’s name was changed to Academi after it was purchased by a group of private investors in 2011.